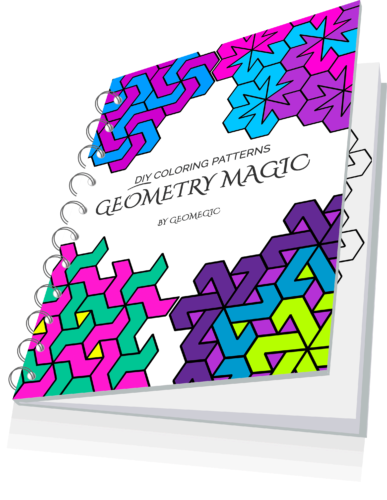 Here are a few ideas how to use the natural symmetry of the pattern to color Geomegic patterns. 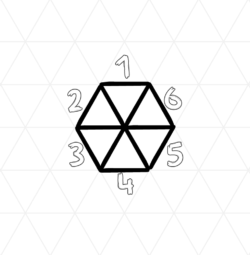 This approach also works well for any repeatable patterns or mandalas. 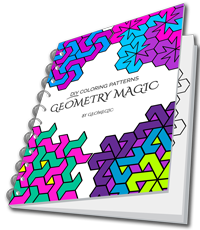 Geomegic patterns are created with the help of a grid page. Triangle grid, for example, consists of equilateral triangles that also make up a hexagon shape if you put 6 triangles together. Knowing this, we can play around with a few different ways to color the patterns. 3 styles of coloring with 2 colors. Color the first half with one color and the second half with the other color. 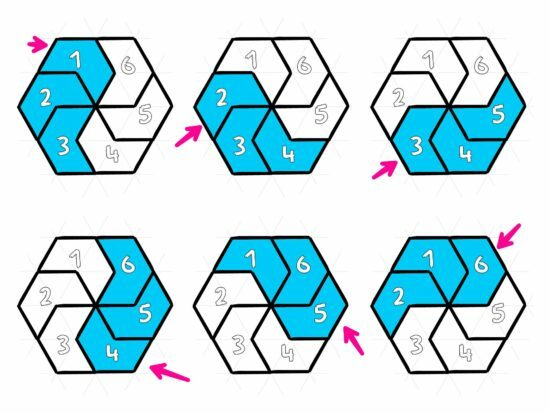 On the examples above we were starting at the topmost piece and going counter-clockwise. You can start coloring from any piece and go clockwise or counterclockwise. So when coloring a full pattern you can mix and match these coloring styles and come up with the different design every time. Isn’t that fun?! 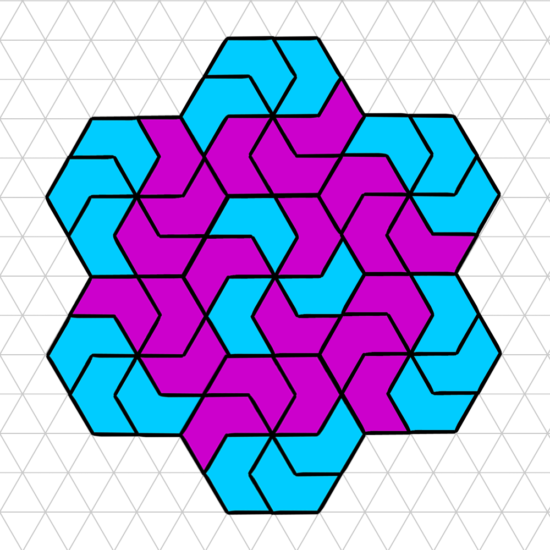 The examples above are based on a “Basic Pinwheel” coloring pattern, follow the link to learn how to draw this pattern and see some other coloring designs. This pattern is also available in high-quality printable coloring page in our Free Coloring Pattern eBook that you can download by clicking here. In part 2 we’ll talk about how to use the natural symmetry of the grid to color with 3 colors. Stay tuned!